I recently bought some 2.3 millimeter drum hoops for the snare and the 10″ tom on my Tama kit. To get free shipping I needed to buy something else, so I added an 18″ Wuhan China cymbal. When the cymbal arrived, I hated it. I thought it was the worst sounding cymbal I had ever heard. I was going to send it back, even though it really wasn’t worth it because the shipping would cost almost as much as the cymbal. However, others told me it was interesting. They were right. Here is a track using the cymbal. It is one of those long explorations I do that really set a mood, but don’t go anywhere. The guitar is my Agile LP through a jazz guitar patch in Guitar Rig 4. The synth is the “Dungeon” patch on Absynth 5, slightly modified. 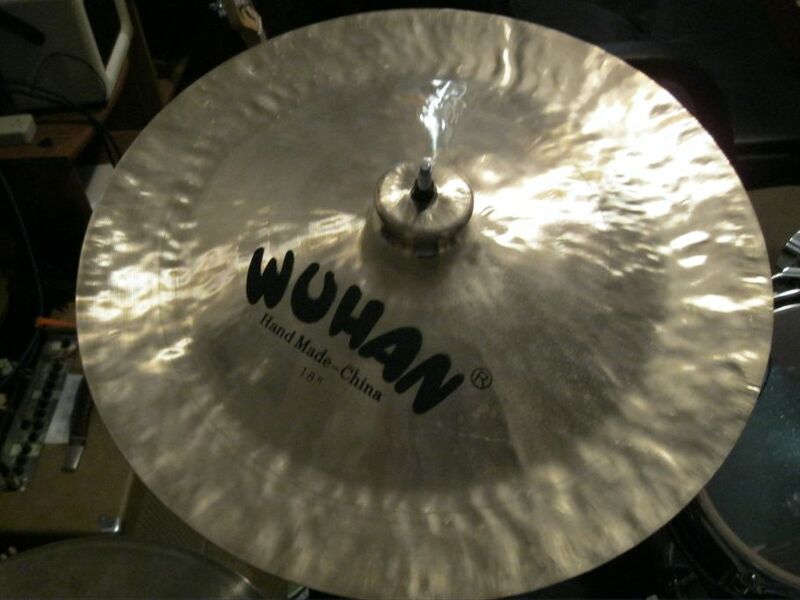 The ride cymbal is the 20″ Wuhan, the hats are 14″ Armands, and then there is the China cymbal. The China is trashy and loud. It sounds different any place you hit it. In this clip, I use it both as a crash and a ride. Oh, I forgot to add: The synth is also played with the Agile LP using a new VST plugin from Jam Origin called Midi Guitar. This plugin allows you to play midi software synthesizers WITHOUT a midi pickup or any special hardware. You just plug any guitar into your mixer, route the signal to the plugin, and it generates midi information to trigger any midi instrument. Here I am just playing two note chords very slowly, but this plug tracks past passages better than my Roland GR-20. It is completely polyphonic too. The only thing that the GR-20 can do that this can’t, at least that I have discovered so far, is assign each string to a different instrument. I played the demo for 30 minutes and was so impressed that I bought it for $99, even though it is still in beta. This entry was posted in Music and Guitar and tagged armands, cymbal, guitar rig, Jam Origin Midi Guitar, Wuhan China. Bookmark the permalink. hey John, I really dug this track…very acid-jazzy…great vibe for a Sunday.